The right branding is critical to making a first, and lasting, impressing. Our new, easy-to-use, online design tool can make anyone a graphic design expert in a matter of minutes! Our design tutorial will walk you through the tool and have you creating attractive business cards and other business stationery like a true pro. Once you’ve completed the tutorial, it only takes minutes to design and create a professional product that best fits your business and brand. This tool was created to to help business owners get the job done quickly, professionally, and without the hassle of paying for expensive graphic designers. Our tool offers multiple options, depending on your needs. If you prefer, you can customize your product from scratch by selecting a background, uploading your own images and choosing the perfect font(s) for your text. Or, if you need a little inspiration, you can choose from one of hundreds of new design templates. We offer design templates for dozens of industries: dentists, tutors, construction, lawyers, plumbers, artists, trainers, restaurants, bakers, travelers and more. Each template is customizable, so you can be confident that your design will remain unique. Once you’ve selected an industry, choose the template that best fits your business. It’s as easy as adding your own text, previewing the design to ensure that it’s perfect and following the steps all the way through check out. 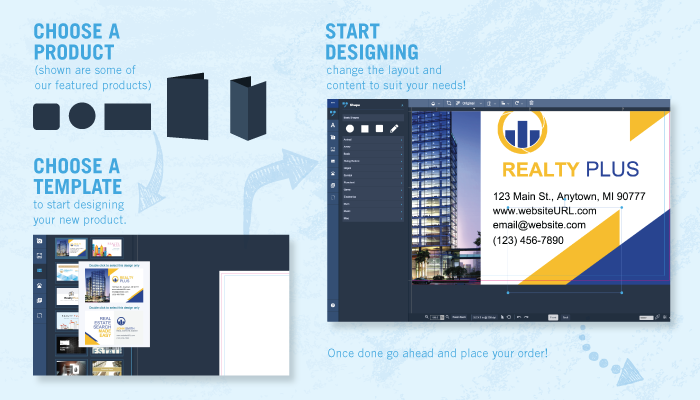 Designing your own marketing materials doesn’t have to be a challenge. With our advanced design tool, you will be able able to edit your photos, adjust the layout and incorporate carefully selected images to create modern business cards, postcards, flyers and more with little or no technical knowledge. 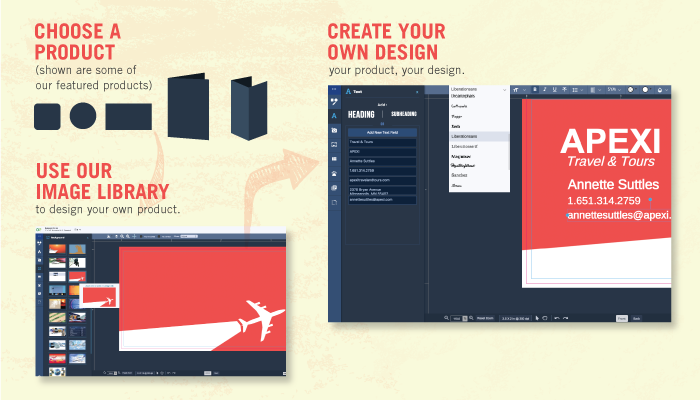 With our new design tool, you have both creative freedom and complete control – give it a try today! It must be great if it’s better than the one you had. The one you had was pretty awesome! Thank you for updating your software, I have been waiting for this! Awesome! How do I try it I don’t see a link or anything to click on that’s click able to try it. 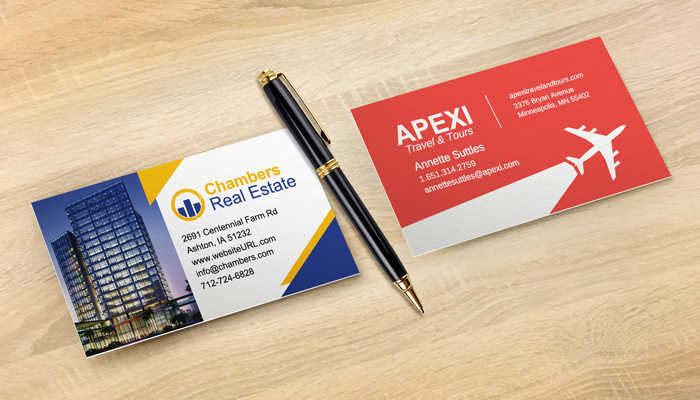 Hi Alexis, most of our stationery product such as business cards and postcards allow you to use the design tool. First select the product, then choose “online designer.” After you select the right size and shape for your project, you will see the design tool. This is an online tool not a stand alone product? Hi Tony, thanks for reading! Yes, this is an online tool we developed to make it easy for customers to design and order a product through our website.